Here are a few interesting local items that ended in the last week. If they were items you are looking for, I hope you didn’t miss them! 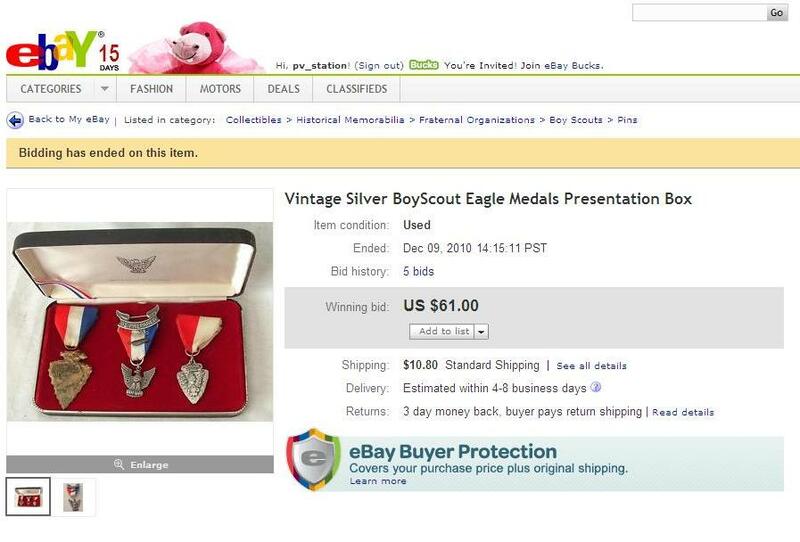 Update: Matt P. wrote to say that the medal on the right is from the Moniteau Trail in Moberly, Missouri. Thanks, Matt! One hundred of gold mylar patches were made; of the total 92 were awarded, one was placed in the Tamegonit Lodge collection, and the remaining were destroyed. The 92 awarded in 2005 were the most ever awarded at one Vigil Banquet, followed by 83 distributed in 2008. 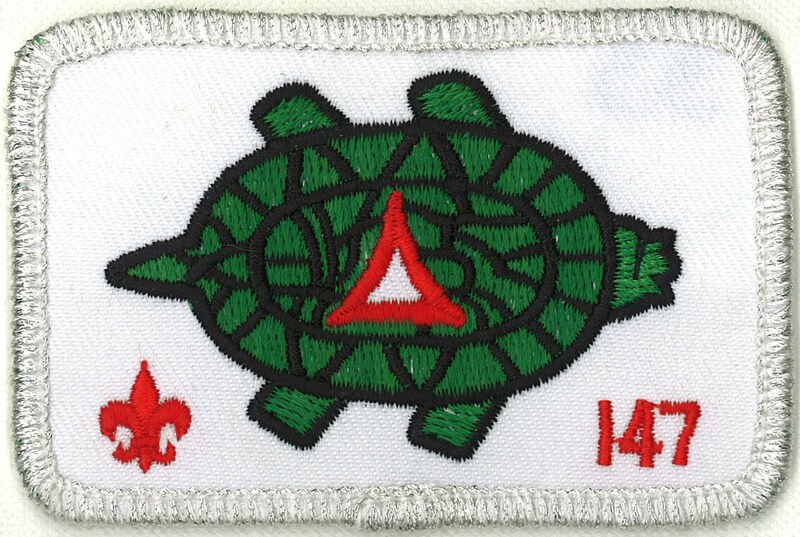 This year, 200 patches were made; of the total 96 were awarded, one was placed in the Tamegonit Lodge collection at the Great House, and the remaining were destroyed. 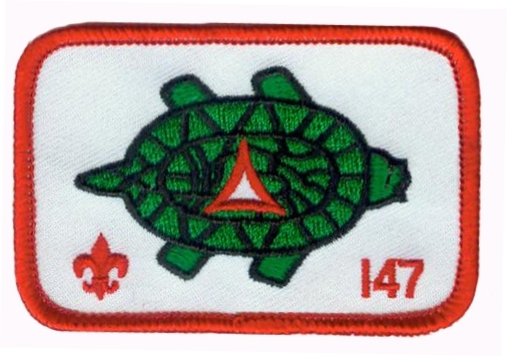 Ninety six marks the most patches awarded in one year, followed by 92 in 2005. Do you patch collectors see a correlation? First off, congratulations to all of the new Vigil Honor members of Tamegonit Lodge. 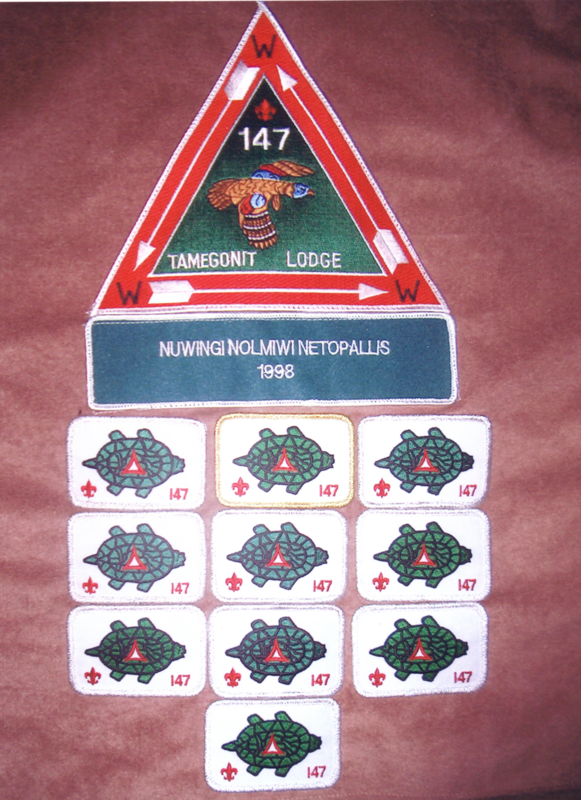 Beginning in 1995, all new Vigil Honor members of Tamegonit Lodge have been given a Vigil vest. 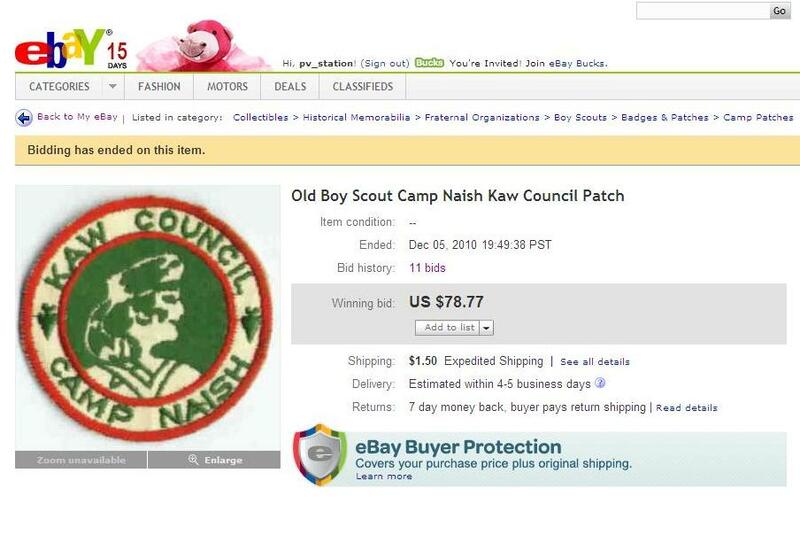 As shown below, the vest comes with a triangle Vigil patch and a rectangular name patch sewn below it. 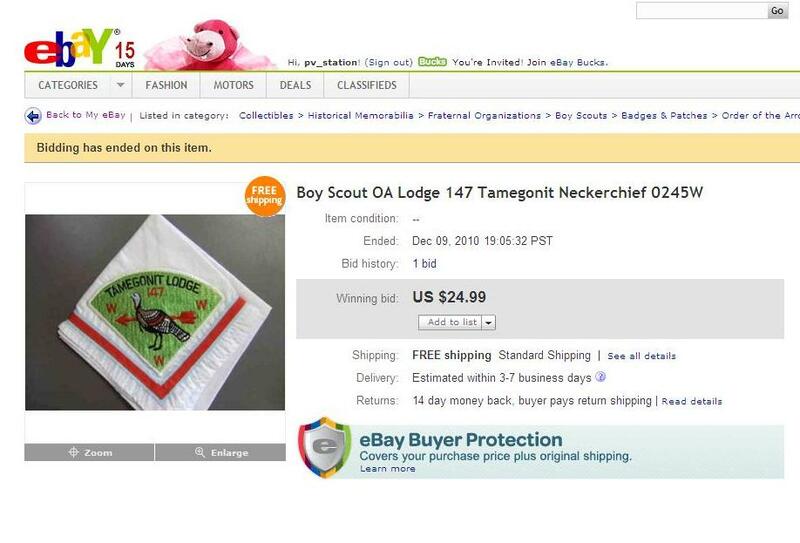 Following are three types of name patches: Type 1a was used for classes 1995-2008, Type 2 will be used for classes 2009-, and Type 1b has a gold mylar border to commemorate the 50th anniversary of the Vigil Honor in Tamegonit Lodge. Only the members of the 2005 class received these. Shown is a blank patch without a name. The main difference between Type 1 and Type 2 is the font, which is more legible in the newer version. 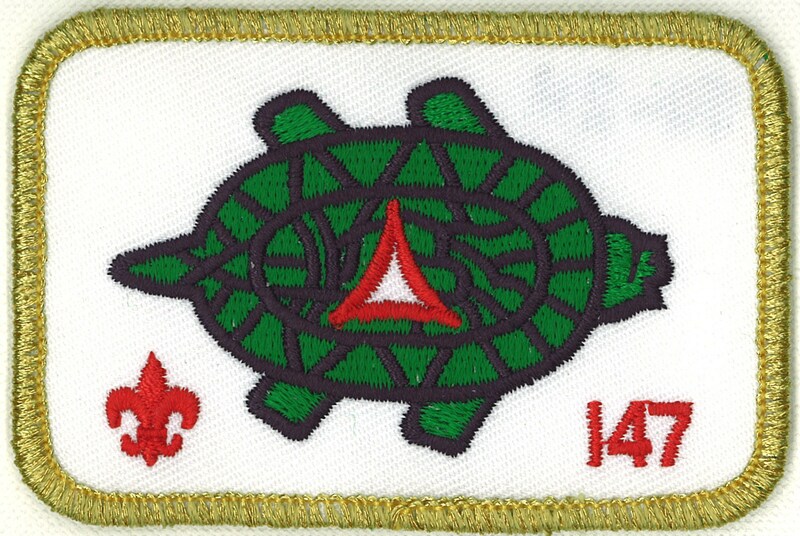 The name patches include the honoree’s Vigil name in Lenne Lenape, the English translation, and the year awarded. If you are a Vigil member of Tamegonit lodge from a year prior to 1995, you may purchase a vest with a personalized name patch. If you are interested, drop me a note and I can put you in contact with the appropriate person.